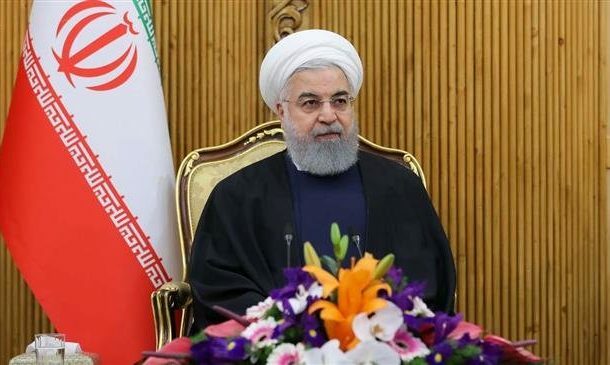 President Hassan Rouhani has censured a recent deadly terrorist attack against Iranian security forces, describing the US and Israel as the “root causes of terror” in the Middle East region. On Wednesday, a bomb attack targeted a bus carrying members of Iran’s Islamic Revolution Guards Corps (IRGC) in the southeastern province of Sistan and Baluchistan, killing 27 of them and injuring 13 others. “America and Zionism (Israel) are the main root causes of terrorism in the region, while certain regional oil-rich countries provide financial aid to the terrorists,” Rouhani added. Rouhani further called on Iran’s neighboring countries to fulfill their legal obligations within the framework of the principle of good neighborliness and prevent the terrorist groups from using their soil to launch attacks against their neighbors. “Should such a trend continue and they (the neighboring countries) fail to contain the terrorists, it is clear under international law that we have certain rights and will [act to] restore them in due time,” he said. The Iranian foreign minister says the attack in southeastern Iran on Wednesday could be linked to the anti-Iran summit in Poland. The terrorist outfit was formed in 2012 by members of the Pakistan-based Jundallah, another terror group dismantled by Iranian intelligence forces in 2010 after its ringleader Abdolmalek Rigi was executed. The two neighbors signed a security deal in 2013. In a tweet on Wednesday, Pakistani Foreign Ministr’s spokesman Mohammad Faisal strongly condemned the “heinous’ terrorist attack. Meanwhile, IRGC deputy commander for coordination Brigadier General Ali Fadavi vowed a firm response to the attack. “Our response in defense of the Islamic Revolution will not be limited to our geographic borders,” the commander said. Additionally, Iran’s first Vice President Eshaq Jahangiri said Wednesday that the deadly attack on IRGC members would lead the Islamic Republic to wage an unrelenting battle against terrorism. He said the terrorist attack was spearheaded by the global arrogance’s spy agencies and their lackeys, who were angered by the Iranian people’s massive turnout in nationwide rallies marking the 40th anniversary of the Islamic Revolution.